I don’t say that because I’ve had personal experience. I have had personal experience with what I believe was spiritual warfare, but that’s not why I make that statement. Spiritual warfare is real because God’s Word, the Bible, says it is real. 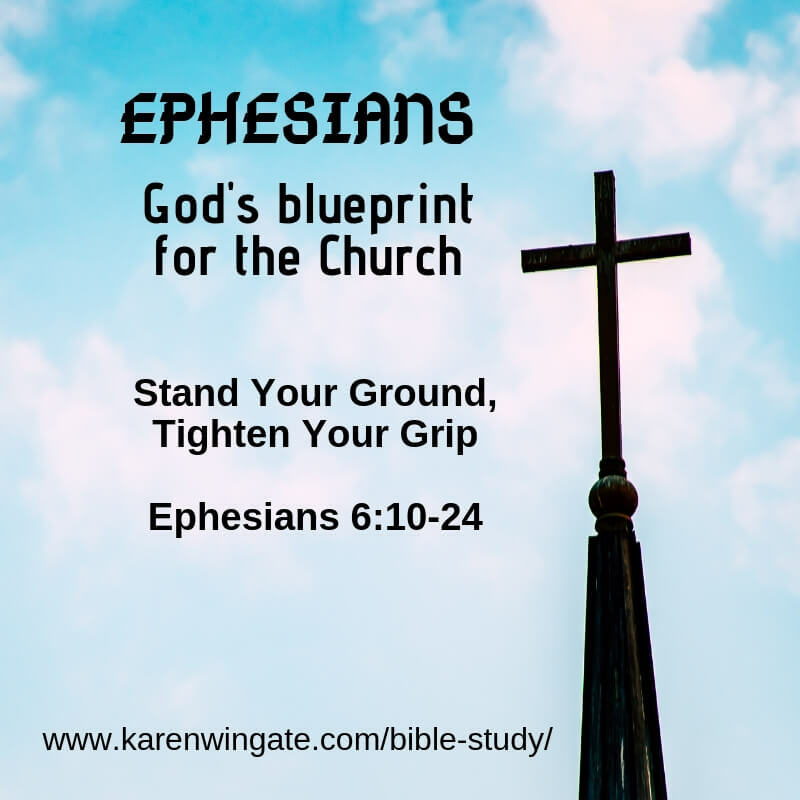 This post is the last session of our online Bible study in the book of Ephesians. 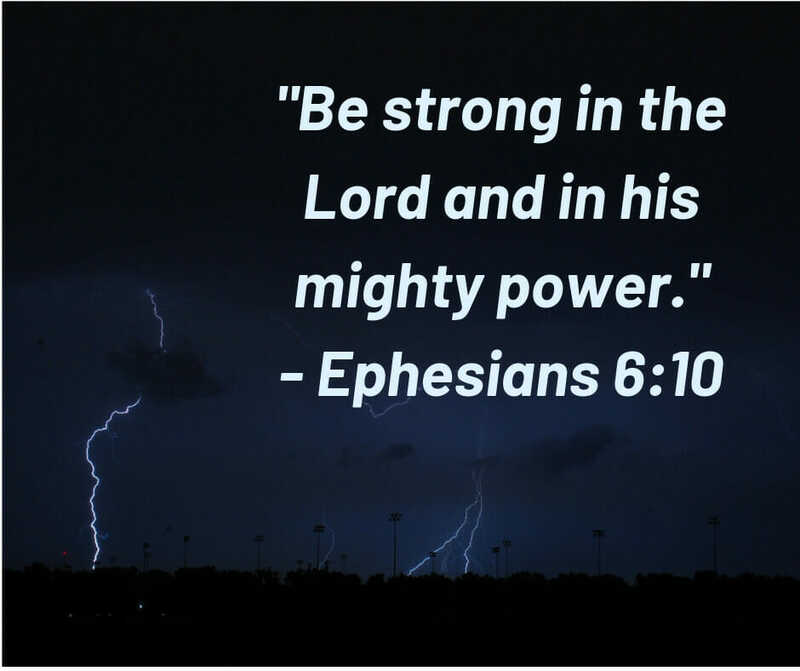 Today we’ll look at Ephesians 6:10-24 which discusses the fight we face if we choose to follow Jesus. This section of Scripture contains far more material than I could ever begin to cover in one blog post. I’m toying with the idea of making a summer study that looks at each piece of the armor of God. For today, however, let’s look at the big picture. Spiritual warfare may be more complex than what you think. The small church where my husband serves has faced an onslaught of trials in the last year. Several people have commented that Satan is on the attack. Satan is far more cunning than that. The trials are his starting point. As you stand dazed, he circles you like a lion on prowl, waiting to go in for the kill. Which of these struggles do you face? Why did God let this happen to you? If you were a good Christian, this wouldn’t have happened. Where is God now? Why isn’t He answering your prayers? Don’t wait for God. Take matters into your own hands. You aren’t strong enough to cope with this. Would a loving God allow this to happen to you? Wouldn’t a powerful God rescue you? You deserve to feel better. Here, console yourself with . . . (name a temptation). Troubles and trials are bad enough. The questions, accusations, and suggestions add insult to injury. How can we survive the unrelenting pressure? Can we survive? Yes we can. Here’s how. Prepare yourself before the trials come. Stay connected to God and other people. Find your strength through God. You can’t do this by yourself. What we face is far bigger and more cunning than what we see in the temporal world. More is happening behind the scenes in the spiritual world than we can see. Read Job 1,2. What spiritual warfare was happening that Job could not see? 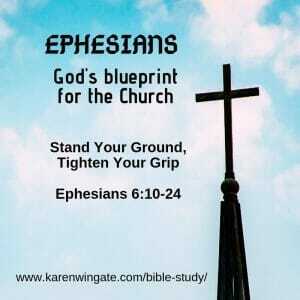 Read Ephesians 6:12. When our faith is attacked, is the problem only with the people attacking our faith? Read Ephesians 6:10,13. Does God expect you to handle your difficulties by yourself? Stand firm with the belt of truth buckled around you. Feet fitted with the readiness that comes from the gospel of peace. It makes sense. What soldier would be fully effective if he had to take time to prepare himself after the battle had already started. Look at how long World War Two lasted and how many innocent casualties ensured because the United States had to spend so much time building up resources and training manpower before engaging in battle. We will win more spiritual battles if we are ready to engage in the battle before it arrives. How does prayer help us win over spiritual warfare? What do we need to pray for? Paul’s final request is that his readers pray for him. He uses the word fearlessly twice. Paul’s requests sound like a good prayer prompt for all of us to pray for each other. their minds will be filled with Scripture that will bolster their faith. God enable them to proclaim their faith to the people around them without fear. Stand firm, my friends. Only God can give you the strength you need to get through the one-two strikes of trials and temptations. God has your back. He walks beside you. He will lead you through the tough times. Don’t give up on Him because He isn’t giving up on you. And, through His death and resurrection, Jesus has already won the war! Spiritual warfare is real because God’s Word, the Bible, says it is real. We will win more spiritual battles if we are ready to engage in the battle before it arrives.